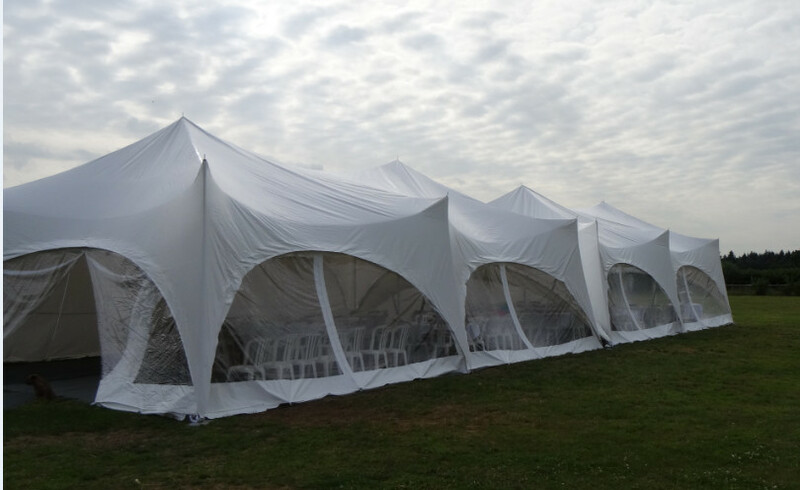 We have 2 sizes of Capri Tents to hire out, 28 ft x 38 ft (approximately 9m x 12m) and 20 ft x 20 ft (6m x 6m). 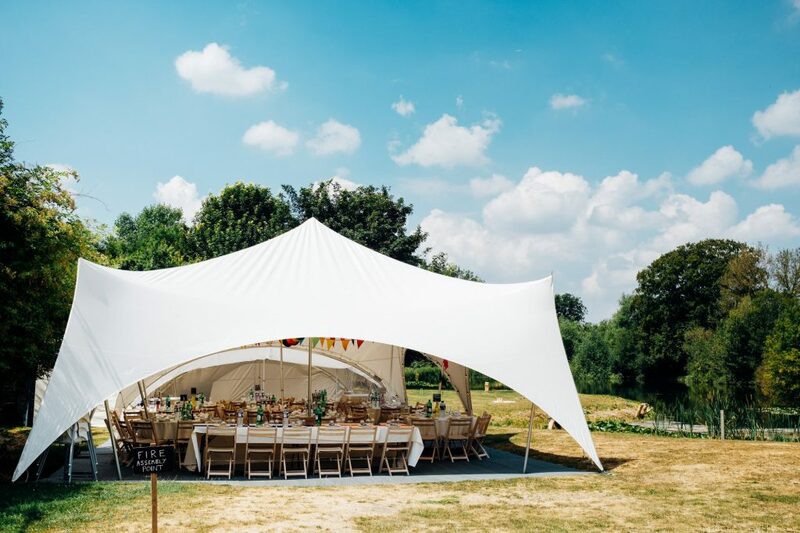 The beauty of the capri system is, not only their contemporary style, but also the ease with which they can be joined together to cater for larger events. To give you an idea of how this looks, here are a couple of additional images below. 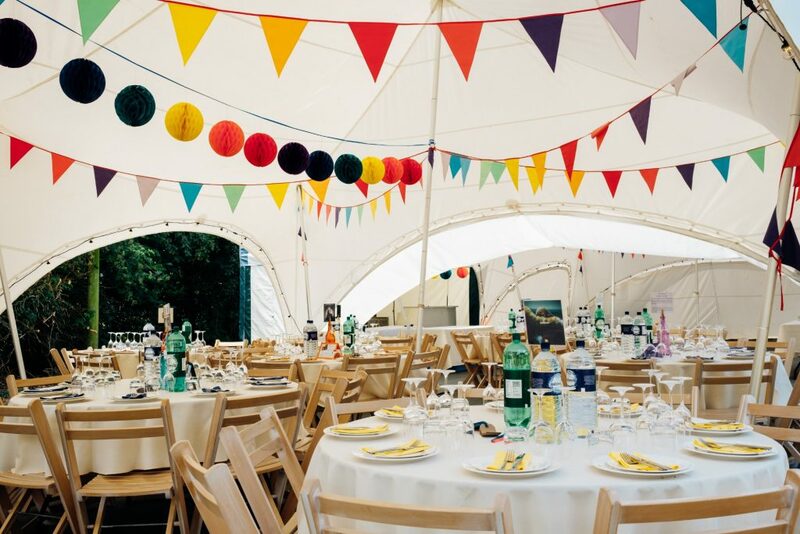 We have several marquees and will make suggestions on the layout of the tents based on your party size and requirements. 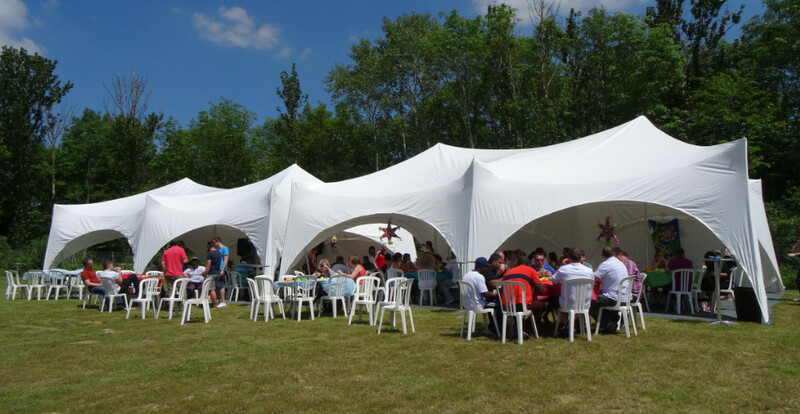 For example, we can also join the 20 x 20 onto the larger Capri to form an L shaped tent which becomes a great party venue. However, the choice is yours! 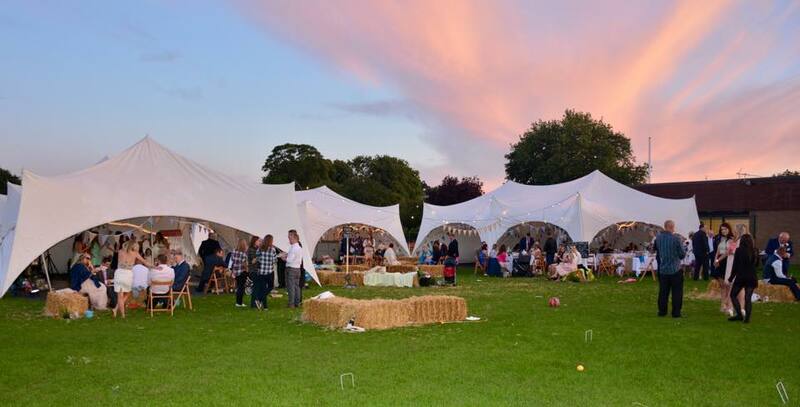 As you can see our marquees are what is known as tension tents and require poles to support the canvas, but unlike other traditional marquees, the Capri Tents do not require guy ropes, posing less trip hazards to late night stumblers. 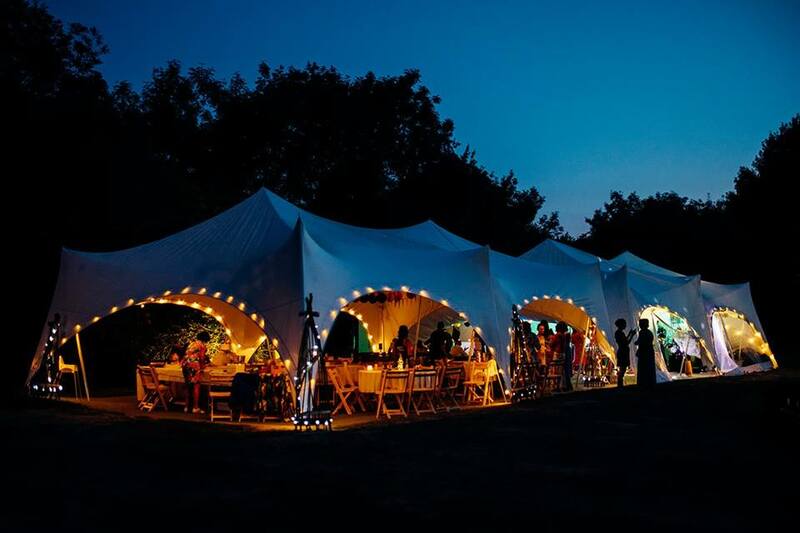 These marquees are also very popular for parties and look great at night with the lighting we have to offer, as you can see below! Please get in touch if you would like further information. We can help and advise you on the size of structure needed to house the number of guests you want and help with any optional extras you may be thinking about.